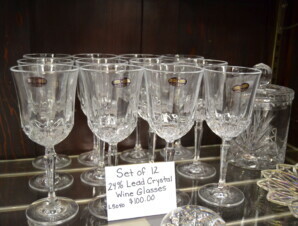 Set of DePlomb 24% lead wineglasses (12) made in the USA. The aforementioned price does not include shipping and handling. 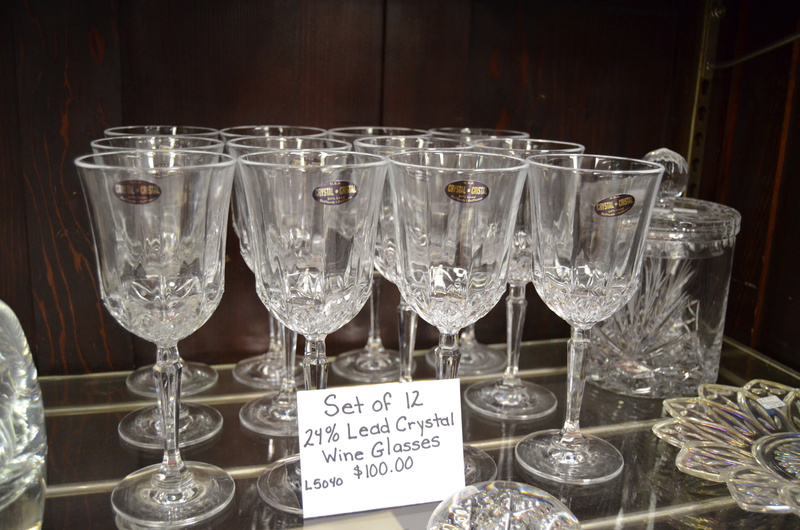 For more information on this item, please feel free to call Mike’s Jewelry & Loan at 217-228-5626. Once we know a shipping destination, we can figure shipping into the cost of this item and change the price on the website so you can use the PayPal Shopping Cart.